Following her attendance at a pre-party, Sydney Sweeney was on the carpet this evening(January 27th) for the 25th Screen Actors Guild Awards at the Shrine Auditorium and Expo Hall in LA. Sydney's DELPOZO SPRING 2019 color-block tulle dress has an Grecian feel to it. The one-shoulder dress featured a draped neckline, a fitted bodice and a asymmetrical hem. This very much off-season but I love the color combination. 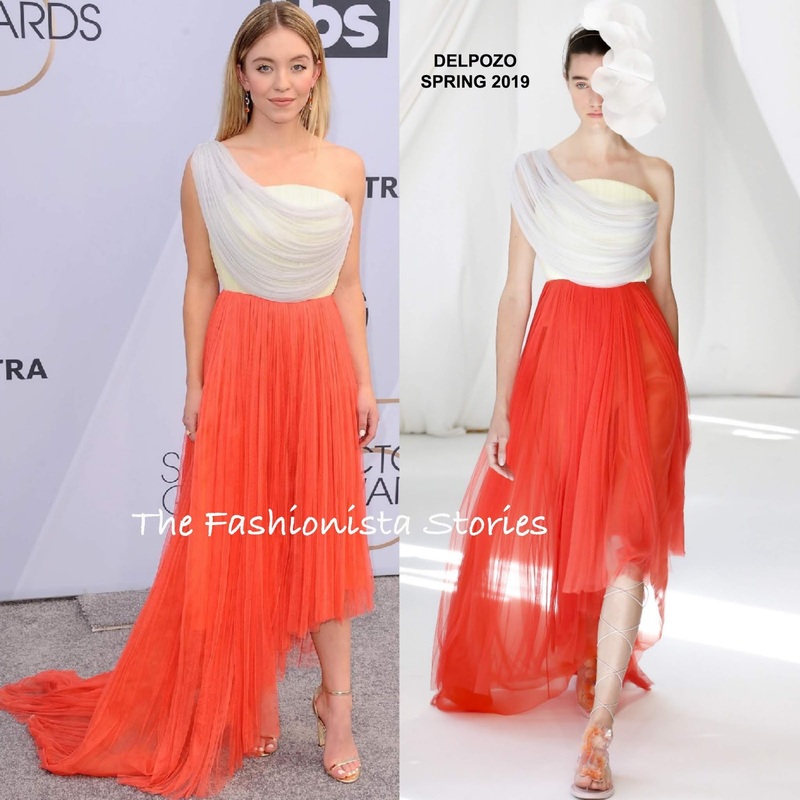 Allowing her dress to remain the focal point, she kept her beauty look simple, which featured straight -off-the-shoulders tresses, and minimal make-up.NICHOLAS KIRKWOOD ankle strap sandals rounded out her look.